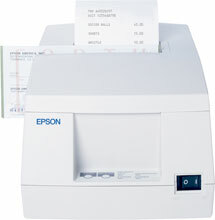 Epson TM-U325 - Impact, receipt & validation printing, 6.4 lps, serial interface. Includes power supply. Order cables separately. See accessories. Color: white. The Epson C213031 is also known as Epson POS Products	EPS-U325D	.